The Mumba lamp by Vistosi has been designed by Mauro Olivieri.The Mumba lamp collection is creating the illusion of a vibrating light with the undulated texture of the shape. 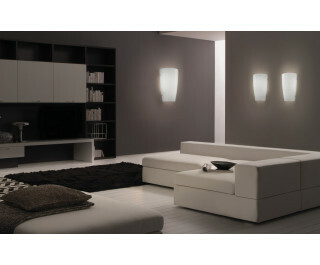 The fixture is available in glossy white color with all metal parts in satin nickel finish. The glass diffuser can be combined to from different lamp versions, wall and pendant.